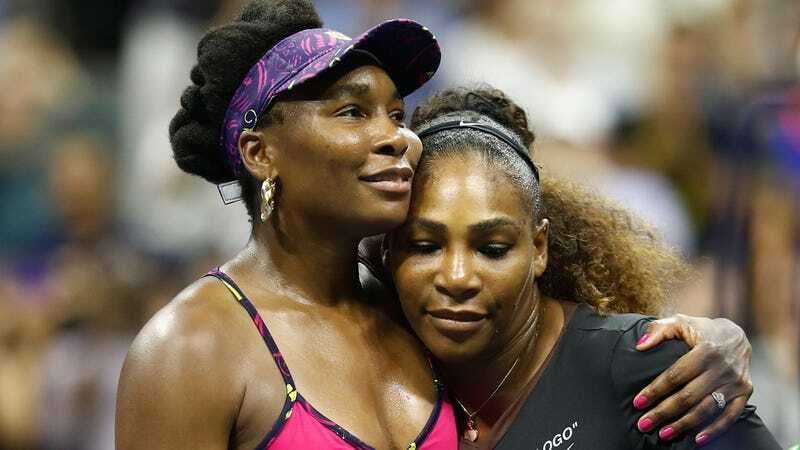 Serena Williams is congratulated by her sister and opponent Venus Williams of The United States following their ladies singles third round match on Day Five of the 2018 US Open on August 31, 2018 in Queens, New York. But in the buzz surrounding yet another head-to-head match between the long-competing siblings, what many may have missed was their dynamic double fashion statements. Wearing their own fashions on the court and in the days preceding. Venus premiered fresh looks from her sportswear line EleVen by Venus, while Serena repped both new designs from her eponymous line and her much talked about “Queen” collaboration with Nike and Off-White’s Virgil Abloh. It coincided with the exciting announcement that for the first time, EleVen has expanded its size range from 0X to 3X, dispelling the myth that fuller figure women aren’t also fitness enthusiasts by partnering exclusively with size-inclusive subscription box brand Dia&Co on a six-piece plus collection ($55-$89) for their Active Boxes. One of the most unexpected aspects of Williams’ new denim designs—which include what she calls a “retro fit”? Minimal to no stretch. But while Venus and Serena are seemingly aiming to make as big an impact in fashion as they have in tennis, it looks like the next generation is already in training. For her first birthday last Saturday, Serena’s daughter Alexis Olympia got two big gifts: getting to watch Mommy play her heart out (and win!) against Auntie Venus, and her own miniature pair of Off-White x Nike Blazer Mids from her newest uncle, Virgil Abloh.